I am a Bible Reader. I am an unapologetic, unrepentant, voracious Bible Reader. It wasn’t always that way, however. Like a lot of Christians, my Bible reading in the early days was fairly inconsistent. I would read a verse or chapter here and there, but it was a long time before I developed any real hunger for God’s Word. I don’t remember how long it took before I finally read it all the way through. Fortunately for me, the Lord placed two people in my life that really challenged me with regards to reading the Bible. The first person was Cathy Jo. After the Lord saved her out of drugs and the biker scene of the early Seventies, Cathy fasted and prayed two weeks for an understanding of God’s Word. And the Lord heard her. Cathy was amazing. While others were reading a verse for the day pulled from the little promise box on the kitchen table, Cathy was reading chapters and books. Her hunger for the Bible was insatiable. I have no idea how many times she has read it through from cover to cover. When listening to her teach, you knew you were sitting at the feet of a true lover of God’s Word. One evening, while Cathy and I were discussing my call to the ministry, she asked me if I had read the Bible through yet. When I told here that I hadn’t yet, she never said a word. The look of disappointment on her face said it all. I was withered by it. There was no excuse I could give that would amount to anything. I will never forget the look in her eyes. Cathy’s love for the Bible, and her life in general, continues to inspire me to this day. The second person was an elderly Jewish man whom I only met once. Although I have long forgotten his name I have not forgotten the way he challenged me. As my wife and I visited with him, we discussed the subject of reading the Bible. He scoffed as he said, “Young people! They read a verse here and a Psalm there.” He then opened his Bible to Genesis 1:1. He pointed to it and said, “The Word of God begins here.” Then he turned to Revelation 22 and pointed to verse 21 as he said, “And it ends here.” I couldn’t argue the point. On one of the blank pages in the back of his well worn King James Bible he had recorded how many times he had read through the Bible. He would record the date he started and the date he finished. I cannot recall how many entries there were but they were numerous. Even though he has long since passed on to be with the Lord, the testimony of his love for the Word of God lives on. I am happy to report today that their investment in my life was not in vain. I now stand humbly among their number. While I have read the Bible for years, my hunger for it continues to grow. In 2009 the Lord had me read through the New Testament once a month for all twelve months in twelve different translations. It was an incredible journey. Last year the Lord had me read through the whole Bible four times in four different translations. Talk about an exercise that causes the Book to really come together for you! I was so grateful. Even though my Bible reading for 2012 is much less aggressive, I am still reading a minimum of ten chapters a day. I love it!! I want to help you stand among the number of committed Bible readers as well. In the next several posts, I will be sharing things which I believe will help you read the Bible and like it. Stay tuned!! Who has inspired you the most to read your Bible? Leave a comment below and share your story. I would love to hear it! ← Have You Set Your Course? I am closest to God when immersed in scripture. I’ve become distracted in the last year, but would like to have that appetite back. You are right, Kim, there are few things like Bible reading to help one draw close to the Lord. I hope you find the rest of the posts helpful. Blessings! 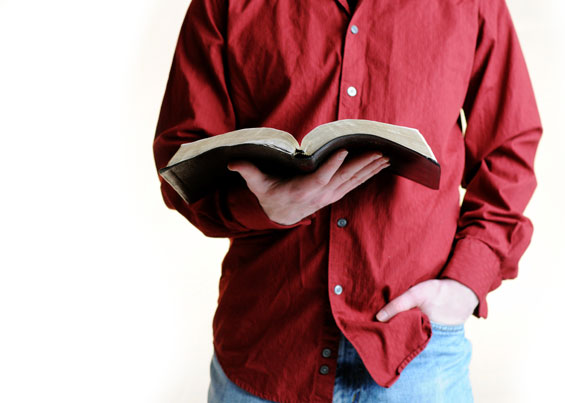 Thanks for the challenging post… I too am an unapologetic, unrepentant, voracious Bible Reader. Let’s tell the world, and hope that they too are inspired to open up the pages of God’s Holy Book! I’m glad to stand shoulder-to-shoulder with you Brother. My true desire is to inspire others to pursue God in the Scriptures on a consistent basis. Thanks for the encouragement! Blessings! Nice post Mac and awesome to know you are pressed in. Kenneth Copeland and Graham Cooke have been my inspirations for years now. Graham taught my wife and I to read the Bible by the Spirit and listen so as to hear His voice either audibly or through the scriptures we read. It makes the word come alive and exciting when we sit in prayer, praying the word and listening as He whispers. Kenneth Copeland has also been inspirational in teaching about walking in Love and living life as a son under the blessing rather than trusting in the world and its failing systems amongst many other great teachings we have studied. My prayer now is: ‘Lord take me deeper’. Now is not a time to be asleep spiritually. Blessing Mac and may 2012 be a fruitful year for you. Thanks for your input Brother Ian. A blessed 2012 to you as well!